Chalk deposits in the Belgorod region is famous for its chalk pine forests, rich vegetation and relict steppe grasses. This area contains a large number of nature reserves and natural monuments. 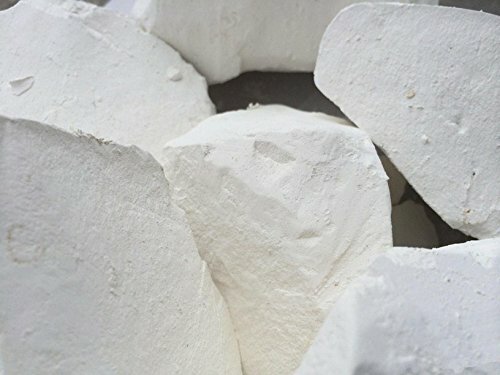 All this has an impact on what Belgorod chalk has a unique taste and unique texture. Belgorod lumpy Cretaceous inherent in the average hardness of the legendary classic chalky taste. When razzhёvyvanii chalk quickly melts in your mouth. Ingredients: natural lumps Belgorod chalk deposits. Shelf-life Unlimited. Made in Ukraine. The package contains from one to five pieces of different sizes. If you have any questions about this product by UCLAYS, contact us by completing and submitting the form below. If you are looking for a specif part number, please include it with your message. Chalk-O-Lots Liquid Chalk Markers, Set of 8 Bright Bold Colors + 8 FREE Chalkboard Labels –Reversible 6mm Tips: Chisel or Bullet for Unique Writing Styles!